Authorities are trying to stop the disease's spread after U.S. diagnosis. 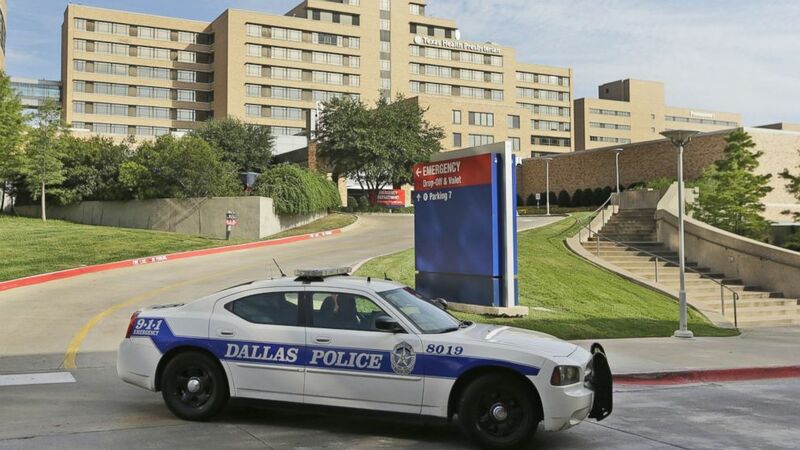 The Dallas hospital treating a patient with Ebola blamed a flaw in its electronic health records as the reason he was first released despite telling a nurse he had come from West Africa. Thomas Eric Duncan is currently confined to an isolation unit at Texas Health Presbyterian Hospital Dallas. He first went there last Thursday but was allowed to leave the hospital, according to the Centers for Disease Control and Prevention. Duncan returned to the hospital by ambulance three days later. He is listed in serious condition. The hospital said in a statement today that the physician and the nurses followed protocol, but his travel history didn't automatically appear in the physician's standard workflow. "The documentation of the travel history was located in the nursing workflow portion of the EHR, and was designed to provide a high reliability nursing process to allow for the administration of influenza vaccine under a physician-delegated standing order," read the statement. "As designed, the travel history would not automatically appear in the physician’s standard workflow." The hospital said it has since relocated the travel history documentation so that it is part of both workflows. "We have made this change to increase the visibility and documentation of the travel question in order to alert all providers," read the statement. "We feel that this change will improve the early identification of patients who may be at risk for communicable diseases, including Ebola." While Duncan is in an isolated unit, his family has been ordered to stay in their home after violating officials' initial request not to leave. "There were violations of the request to not leave their premises," Dallas judge Clay Jenkins said of the breach that prompted the Texas Department of State Health Services to order the quarantine. Duncan was staying with family members in Dallas when he became ill and is now confined to an isolation unit at Texas Health Presbyterian Hospital Dallas. His family members, including five school age children, were told to remain at home. One of those children went to Tasby Middle School for part of the day on Wednesday, according to the Dallas Independent School District. The order came as authorities track all the people who Duncan is believed to have come in contact with since his arrival in the U.S. The circle of people who have come into contact with him has grown rapidly from 18 Wednesday night to 100 today, according to Texas health officials. 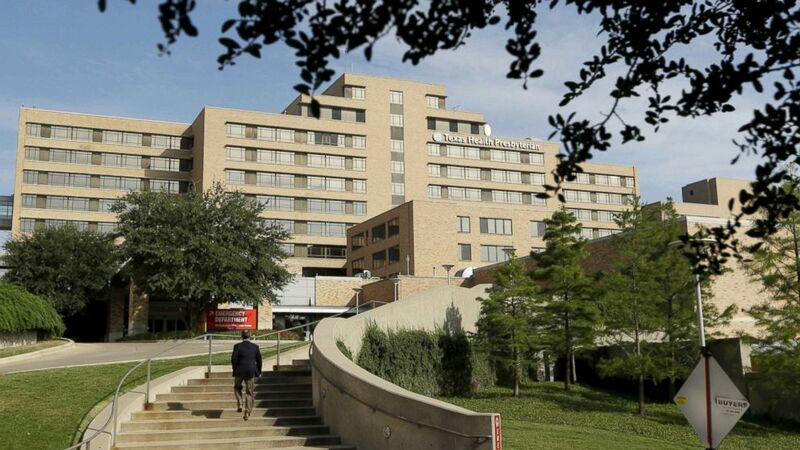 "Out of an abundance of caution, we're starting with this very wide net, including people who have had even brief encounters with the patient or the patient's home," Texas Department of State Health Services spokesperson Carrie Wilson said in a statement. "The number will drop as we focus in on those whose contact may represent a potential risk of infection." The entire apartment complex is being power washed today. On top of that, a cleaning crew has been contracted to go into the family's home and disinfect all of the surfaces that the patient could have possibly touched, Jenkins said during a CDC-hosted press call this afternoon. He said that the man's clothes and sheets have been "bagged." 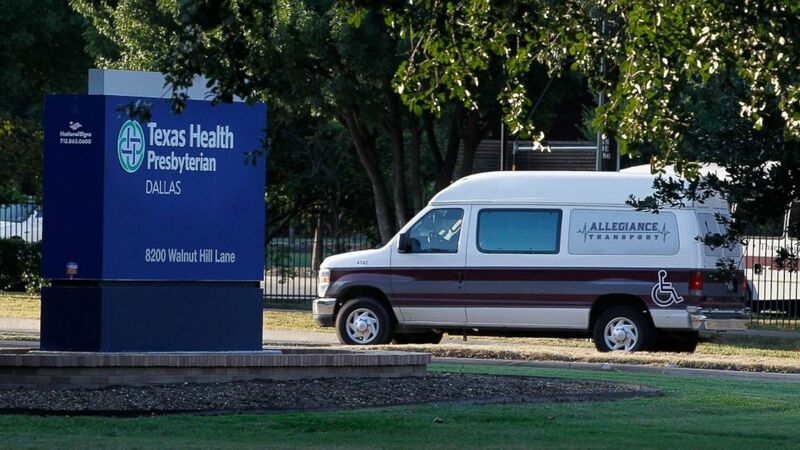 (Mike Stone/Getty Images) A medical transport van moves past Texas Health Presbyterian Hospital Dallas where a patient has been diagnosed with the Ebola virus, Sept. 30, 2014 in Dallas, Texas. "We have delivered several days of food to those people in that apartment. Those people in that apartment are part of Dallas County and they are going to be treated with the utmost respect in this unusual situation," Jenkins said at a later press conference today. Officials also said that police are stationed at the housing complex and that the five children have been enrolled in a homebound school program. Joe Weeks, who identified himself as Duncan's nephew and lives in Kannapolis, N.C., told ABC News today that Duncan spoke today with his mother and sister. Duncan told his family that he was in "great pain" and that he is weak. A team of 10 experts from the Centers for Disease Control and Prevention have arrived in Dallas and will be helping the local health officials "find, assess, and assist everyone who came into contact" with Duncan, according to a CDC news release. Disease detectives, a public health adviser and senior scientists are included in the team. 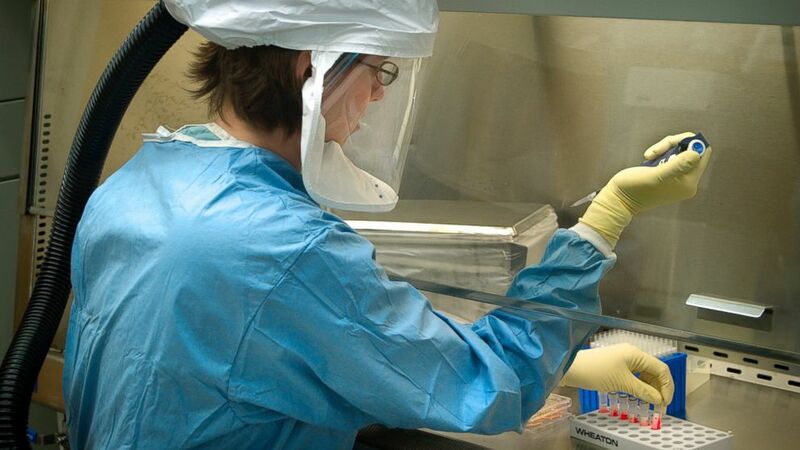 "We are stopping Ebola in its tracks in this country," CDC Director Tom Frieden said in the release. "We can do that because of two things: strong infection control that stops the spread of Ebola in health care; and strong core public health functions to trace contacts, track contacts, isolate them if they have any symptoms and stop the chain of transmission. I am certain we will control this." (LM Otero/AP Photo) A police car drives past the entrance to the Texas Health Presbyterian Hospital in Dallas, Sept. 30, 2014. Dr. David Lakey, Texas health commissioner, talked addressed the control order. "We have tried and true protocols to protect the public and stop the spread of this disease," Lakey said in the statement. "This order gives us the ability to monitor the situation in the most meticulous way." 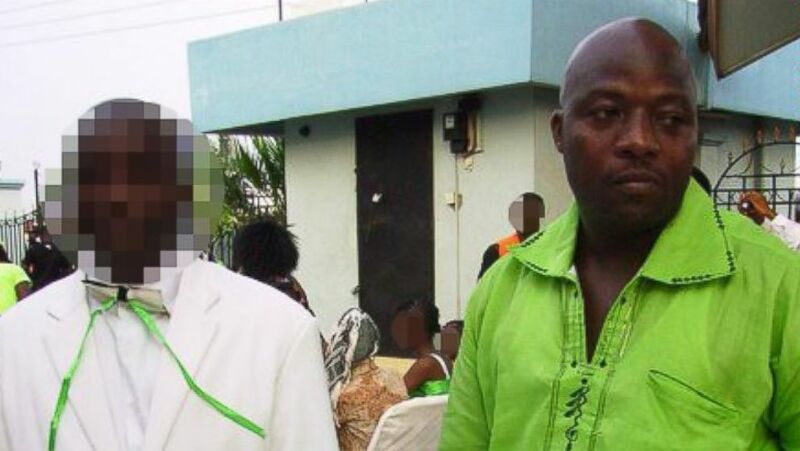 Authorities say the family members do not currently have symptoms of Ebola, which include fever above 100.5 degrees, headache, nausea, diarrhea or abdominal pain. The order will continue until at least Oct. 19. Thompson said he was aware of news reports that Duncan had been vomiting before being admitted to the hospital, but said he was not concerned about the vomiting. Duncan flew from Liberia to Brussels on Sept. 19. He continued to Washington’s Dulles Airport, before flying to the Dallas-Fort Worth Airport on a United Airlines flight. (James Gathany/CDC) This undated photograph shows a CDC scientist pipetting specimens in the Biosafety Level 4 Influenza Laboratory, Atlanta, GA. Although American Ebola patients have been treated in the United States prior to this diagnosis, they all contracted Ebola in West Africa. Ebola has killed more than 3,300 people, with nearly 7,200 cases reported since the outbreak began in March.